Honda became the world’s first mobility company to disclose estimates of all of its greenhouse gas (GHG) emissions including emissions from Honda’s global business operations and customer use of Honda motorcycles, automobiles and power products. By calculating and disclosing global GHG emissions as a responsible company engaged in the area of mobility, Honda will continue making proactive progress with its global initiatives to reduce GHG and further extend the Honda LCA (Life Cycle Assessment) approach. 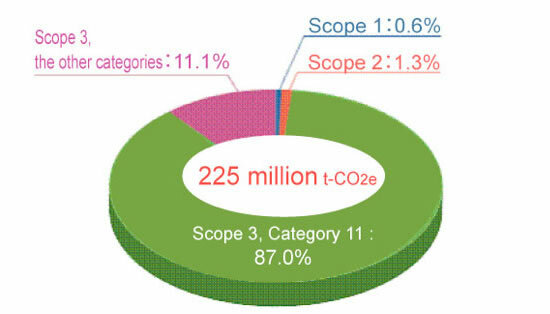 The estimates of GHG emissions disclosed today by Honda were calculated in conformity with the Greenhouse Gas Protocol (GHG Protocol, which is currently the most widely used international accounting standards to measure GHG emissions.